Helped cut construction expenses to reserve budget for LED lighting throughout the school, which will provide annual utility savings of nearly $20,000 at today’s energy prices. The model justified the LED lighting, even though it is a cost-intensive measure, due to the significant operational savings. PES’s eQuest modeling service supports LEED® certification, informs value engineering decisions, and independently justifies the value of high-performance building designs. By quantifying long-term costs and benefits of the deduct alternates for Quakertown High School, our model-supported cost-benefit analysis helped the construction team cut costs while leaving budget for LED lighting, yielding annual utility savings of $20K/yr. This project is 44% better than ASHRAE 90.1-2007 and is expected to get 19 points toward LEED® certification due to energy-saving measures. 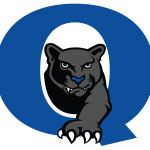 Built in 1954, the 274,000 sf Quakertown High School was recently slated for new additions and extensive renovations — including a high-performance building envelope and new mechanical and lighting systems. The A/E client intended to pursue a LEED for Schools 2007 certificate and initially requested an energy building simulation model to obtain LEED points. Since the A/E team anticipated critical questioning from stakeholders, PES also used the model to independently verify the cost-effectiveness of the design. PES used DOE-approved eQuest software to simulate utility consumption and costs of the base bid high-efficiency design, as well as multiple design scenarios with various deduct alternates removed. The model, once created, allowed easy manipulation of the alternates and offered the A/E team multiple cost-benefit design scenarios to choose from. 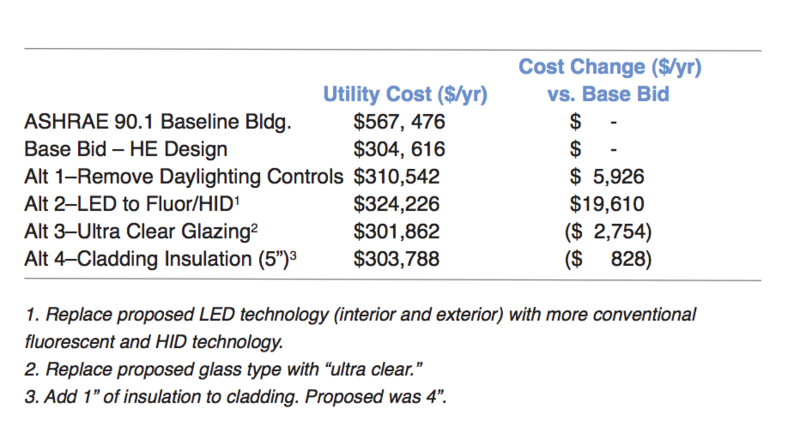 After reviewing our model-based cost-benefit analysis, the A/E team and the school district decided to pursue the base bid, while removing just one component (advanced daylighting controls). This saved approximately $ 400,000 in construction costs and allowed the team to reserve budget for LED lighting throughout the school, which will provide annual utility savings of nearly $20,000 at today’s energy prices. The model justified the LED lighting, even though it is a cost-intensive measure, due to the significant operational savings.